Tokyo Subway Pass: How Does the PASMO card work? How do I buy a PASMO card? How much should I put on the PASMO card? PASMO Card? SUICA Card? MOMO Card? IC Card? How do Tokyo Subway/Train stations work with the PASMO card? / How do Japanese Subway/Train stations work? How do you use the Tokyo Bus? / How do you use the bus in Japan? What if I have money left on the card? As soon as you arrive in Japan, make your way to a subway station and buy a PASMO card so you can use the Tokyo subway. Well, not just the Tokyo subway, this applies to all of Japan since the PASMO is accepted everywhere. You’ll see a large map and kiosks where you can purchase tickets. These kiosks are located at all major stations. Don’t buy the individual tickets, buy the PASMO card and load it up with some yen. The machine ONLY takes cash so be prepared. Most of Japan is cash based so stop at the ATM first. Buying individual subway tickets is very time consuming. The PASMO card will get you around worry-free and you can get a refund. The PASMO card is a prepaid card you can use to travel anywhere in Japan. The card can be used on all local train lines and the Japan Rail. The only place you can’t use it is the bullet train (Shinkansen). You’ll need to actually purchase a ticket for the Shinkansen if you want to go long distances quickly. Purchasing a PASMO card pretty straight forward at the terminal. Just hit the ENG button and it will walk you throughout each step. But if you want to mentally prepare yourself, the link above shows each step of the process. If you’ll be taking the subway/train/bus to get around frequently, you’ll want to budget out at least 1000JPY/day. What’s the difference? Their all different companies but work the same. For the consumer, there is no difference between these cards and should work throughout Japan. The only place these cards won’t work is in Okinawa because they have a different company running the transportation line. Once you have your PASMO card loaded with money, enter the station “turnstiles” and scan your PASMO card over the “IC” logo. It will beep, show your remaining balance and then the gates will momentarily open so you can pass through. After arriving at your destination, to exit the station you scan your PASMO card over the “IC” logo again. The price is calculated based on your trip start and end points. So if you get lost and take trains back and forth, you won’t pay extra unless you leave the station each time. So even if you’re lost, stay in the station and figure it out before exiting. You can get a refund! It’s funny, but the PASMO website does not explain how to get a refund. Very sneaky move website. 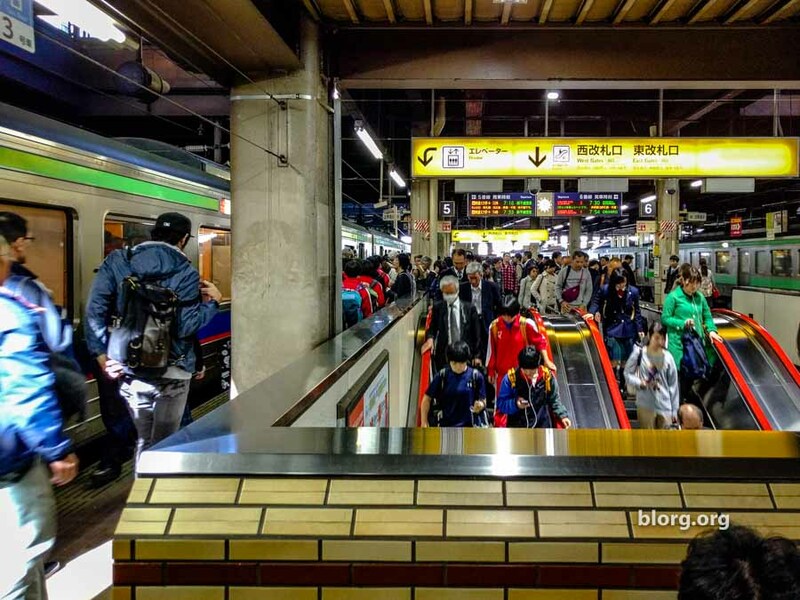 At any of the bigger Tokyo Subway stations, you can find a metro office that will issue you a refund. All you have to do is ask a station attendant and they’ll direct you towards the office. If there isn’t an office at the station, they’ll tell you the location of the next closest station. Even if there is a language barrier, just point to your PASMO card and say “refund” and they’ll know where to guide you. You’ll be looking for an office. Once you find it, go in and point to your PASMO card and say “refund”. They’ll bring out some paperwork, they’ll show you your remaining balance, you’ll sign the paper and then they’ll give you the remaining balance as cash. That’s how to get a PASMO refund. If you’d like to just get a JR Pass (Japan Rail Pass) you could but it is not cheap. If you’re considering taking the shinkansen (bullet train) to Osaka and back to Tokyo, a 1-week JR pass would be worth the money. The pass will allow you to travel on any of the JR trains in Japan. Be aware though that not all trains and subways are operated by Japan Rail. You will not be able to use your JR pass on these other operated trains and subways. If you’re planning on traveling around just Tokyo, there are cheaper pass options here at the official JR Pass site. It will allow you to travel on just the local JR trains excluding the shinkansen. If you’re doing a lot of tourism in the city it could be worth it. It is possible to buy the JR Pass while in Japan. You can’t actually physically buy it from a place, but you can order it online. Travel hack! My post on how to get the JR pass while in Japan explains that in detail. The cheapest and most comfortable way is to use the Airport Limo Bus. If you’re just getting off a flight and it’s your first time in Japan, the Tokyo metro system can be overwhelming. You’ll have to crowd on to a train with your luggage and make several difficult transfers. For about the same price, you can directly take the airport limo bus to many different locations within the city. This applies to all major cities in Japan. Here’s my Tokyo Airport Limo bus experience. If you’re starting from the west side of Japan, check out how to use the Nagasaki Airport Limo Bus. If you’re looking for what to do when you get to Japan, you can check out this 21-day Japan Itinerary.